The head of the Internal Revenue Service faces tough questions about a massive computer data breach during a hearing this morning before the U.S. Senate Finance Committee. Iowa Senator Chuck Grassley, the ranking Republican on the panel, says IRS Commissioner John Koskinen will have to answer to why there’s “a problem a week” at the tax collection agency, calling this latest breach inexcusable. “One concern is what the IRS does to prevent these security breaches, what the IRS does to catch them and then to respond to them,” Grassley says. “The IRS appears to be doing poorly in all of these areas.” The latest computer security break-in evidently involved the theft of personal financial information for 104,000 taxpayers and Grassley says it went on for months. “The current breach apparently started in February and the IRS didn’t notice until May,” Grassley says. 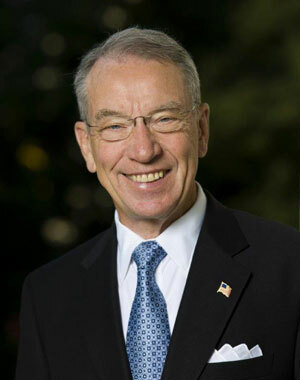 Identity theft can wreak havoc on an individual’s finances and take years to clean up, and Grassley adds, the IRS has “tremendous responsibility” to protect taxpayers’ personal information from theft. “Computer security concerns aren’t new,” Grassley says. “I wrote to the IRS in April with concerns about the weakness in the computer system that creates opportunities for taxpayers’ and employees’ data to be lost, even corrupted and outright stolen.” In the latest case, Grassley says it’s unclear whether the IRS took all necessary steps to secure an online portal used for the information theft before the portal went “live” for taxpayer use. Reports say the crooks attempted to download forms from 200,000 taxpayers between February and mid-May and of the 104,000 successful downloads, about 15,000 of the forms were used to claim tax refunds.